10/9/2004 Over 1,200 Articles Posted! Nearly 80,000 People Downloading A Salvation Page Per Year! ---------- Inspiration For the Week-- "I'll smash the convention"
One young fellow, thumping the table, said, "I'll smash the whole convention". I had a quiet talk on the subject with Hyde. He was one of the committee and manifested such a tender, loving spirit and was so sane through it all ... He said that the committee had never called for confessions, that it was the Spirit of God that had moved men to confess. He said that legislation on the question, and setting apart special meetings for confessions, would be like taking the matter out of the Holy Spirit's hand ... I well remember how earnestly he said that the sin of immorality was more prevalent among the Christians than any one dreamt and that the Holy Spirit saw that extreme measures were needed to get men to realize the sin. 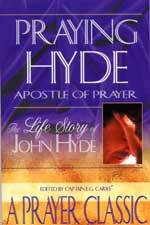 "Some men, I fear", said Hyde, "are guilty, and are afraid that the Holy Spirit will compel them to confess". How tenderly he spoke of these men, how confident he was that the Lord, at the right moment, would reveal clearly His will in the matter; it was one of the darkest hours of the Sialkot Convention, and yet Hyde's face was full of joy, for he knew that victory was assured. --------Focus: Key Doctrinal Truth----------"African Theology"
The attempt to marry the theology of the traditional African religions with the contemporary "Christian faith"; an attempt to synthesize Christianity with African traditional religions. 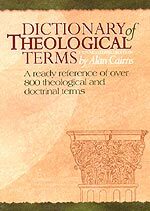 African Theology is not merely the interpretation of Christian theology by African theologians, using African thought forms. It is the exploration of what the traditional pre-Christian, animistic religions have been saying on the presupposition that they represent divine revelation. In the subsequent synthesis with Christianity the Bible's data is accepted only if they support what has already been established from African traditional religions. In itself, the Bible is not the source of truth for proponents of African Theology. Which Is True? 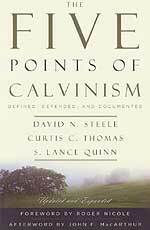 Calvinism or Free Will? This subject has been one of the most hotly debated issues within Christendom for the past 500 years. Today, the debate rages onward, threatening to divide a body of Christian believers at the very End of the Age, a time when they ought to be uniting against the coming Kingdom of Antichrist -- New World Order. In order to allow each of our readers the opportunity to study both sides of the debate and reach their own conclusion, Cutting Edge is pleased to offer two resources on each side of this debate; in fact, we even offer both at a very special savings, hoping you will study both sides and reach your own conclusion. * "What Love Is This?" - Video by Dave Hunt - $24.99 - This video presents the Biblical case for "Free Will" while critically examining Calvinism. Hunt's view is that, in Eternity Past, God predestinated men to be saved based upon His foreknowledge as to who would accept and who would reject. God did NOT choose certain individuals and reject other individuals. In the life of every person, an opportunity would arise for that person to either accept or reject the Gospel. * "Calvinism or Free Will? 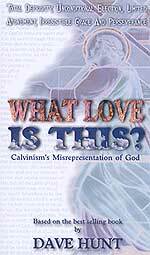 Combination Offer" - "Five Points of Calvinism" Book PLUS "What Love Is This" Video -- $37.98, Sale Price: $29.98 - One of the greatest spiritual debates of the past 100 years has been over Predestination. If you believe that, in Eternity Past, God chose individuals to save based upon His sovereignty and according to His Free Grace, that is Calvinism. But, if you believe that God chose the plan whereby man may be saved, but did not choose individuals and exercised His sovereignty only to know which persons would accept His salvation, that is Free Will. We present both sides of this most important issue so you can make up your own mind. The church over the past 100 years has generally moved to the Free Will position. Is it Biblical? 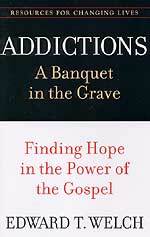 * "Addictions: A Banquet In The Grave: Finding Hope in the Power of the Gospel" - Addiction: A Worship Disorder -- Will we worship ourselves and our own desires or will we worship the living, true God? Scripture reveals the actual condition of an addict: "Like guests at a banquet thrown by the 'woman Folly'. They are already in the grave." (Prov 9:13-18) Can we not escape our addictions? Following Jesus, we have immense hope that God is ready to give us power so that we are not mastered by addiction. 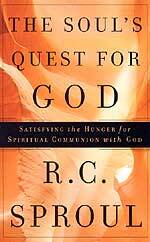 * "The Soul's Quest For God: Satisfying the Hunger for Spiritual Communion With God" - by Dr. R.C. Sproul - Something is missing -- a depth of spiritual communion with God. Worship is unsatisfying to the multitudes and the Christian life is often marked by more a sense of the absence of God than a vital sense of his presence. This book is about a quest, the most important quest of our lives. Dr. Sproul examines the soul's urgent quest for God -- to discover the wellspring of life, the taste of the sweetness of honey in our mouths, and the Divine Light which alone can illumine our darkest chambers. Dr. Sproul examines the Biblical pattern for spiritual growth, the Biblical models given us, the nature of the soul, the barriers to realizing our quest and the soul's ultimate destination. 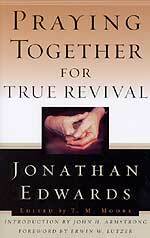 * "Praying Together For True Revival" - by Jonathan Edwards, 1703-1758 - Jonathan Edwards (1703-1758)-- This book reprints Edward's timeless call for Christians to unite in prayer "for those great effusions of the Holy Spirit" that advances the kingdom of God. The Holy Spirit greatly used Jonathan Edwards, through whose ministry He poured His "Great Awakening Revival" of 1741 in the North American colonies. Edwards calls here for a season of uncommon and serious prayer, so people today will realize the critical relationship between prayer and true revival. This DVD tells their amazing story. How they crawled into forbidden military installations; how they used night vision goggles to avoid being detected as they pursued their mission; how they discovered a dozen significant remnants still remaining at the site. These explorers embarked upon a journey which would change their lives forever, finding remarkable evidence that confirms the Bible as being historically accurate. This exciting footage literally leaps off the screen to document a story you'll never forget. 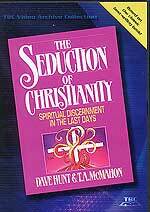 * DVD - "Seduction of Christianity", by Dave Hunt - The classic that first sounded the alarm that Church Apostasy was reaching the levels prophesied about churches at the End of the Age. The common response is that the book both articulates and documents biblical concerns many are having with teachings and practices coming into their own churches. More needed than ever, as delusions and deceptions continue to grow. Contains four video programs on one DVD. 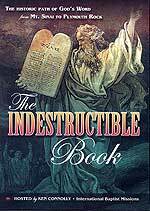 * DVD - "The Indestructible Book" - The Scriptures were banned, burned, and ridiculed by rulers of every age, from Roman emperors to English monarchs. Many who dared to read and share the Word met horrible deaths. Yet God's truth could not be crushed. This four-volume video commentary by Ken Connolly is a spectacular sweep of history, filmed on location in Israel, Europe, Britain, and the U.S.
Retrace the Historic Path of God's Word from Mt. Sinai to Plymouth Rock. Meet the scholars, teachers, and missionaries whose passionate faith preserved the Indestructible Book. 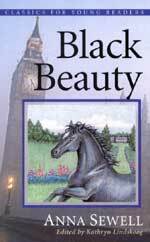 * "Black Beauty" by Anna Sewell -- Did you know that Black Beauty was originally written to show a Christian's natural tenderness to all of God's creatures? Proverbs 12:10 says, "A righteous man cares for the needs of his animals." Black Beauty has been one of the world's favorite animal stories for over 100 years. Follow Black Beauty as he experiences the joys of kind caretakers and the hardship of cruel owners in industrial-era England. 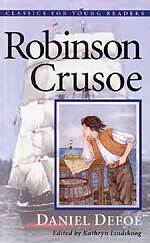 * "Robinson Crusoe", by Daniel Defoe -- Did you know this novel was written about a young Robinson Crusoe who struggled long and hard with God and then dramatically changed after studying God's Word under extremely great stress and danger? 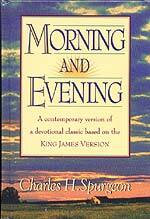 This book carefully preserves these original Christian details. For more than 270 years, readers everywhere have been fascinated by the young fool who ran away from wealth, security, and family for a rough life at sea - a young lad who came to his senses too late, alone on a tropical island. Alone, that is, except for hungry cannibals, and God. 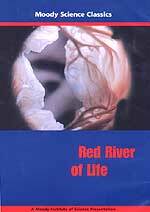 * "Red River of Life"- Science Classics - Step inside the most complex factory ever designed. With thirty trillion cylinders. Powered by a pump that’s far superior to the finest steel. In Red River of Life, you’ll see what makes your blood, your lifeline, carry its precious cargo of oxygen to every corner of your body. And more importantly, you’ll learn how the shed blood of Jesus Christ is the source of life in the Spirit." 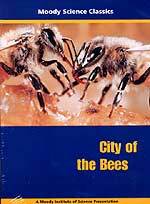 * "City of the Bees" - Science Classics - In the City of the Bees, you'll learn how these amazing insects live and work. And you'll be amazed at the harsh law of the hive, which has no place for sick or unproductive members. Finally, you'll learn why God's design for human relationships is vastly different from His system for bees. 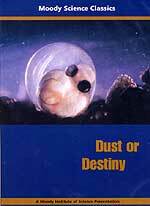 * "Dust or Destiny" - Classic Science Series - In Dust or Destiny, you'll marvel at some of the world’s most astonishing natural wonders. 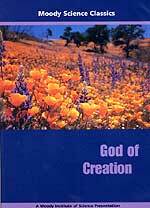 And learn how each of them gives fervent testimony to the fact that this planet was not formed from ordinary dust. But from the loving hands of a living God. 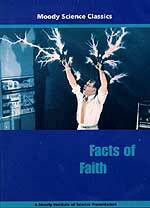 * "Facts of Faith" - Science Classics - In Facts of Faith, you'll watch one million volts of electricity blaze through a man’s body. And witness a whole series of sophisticated experiments all designed to demonstrate some powerful spiritual truths, such as, what faith is and how you can have it. * "Journey of Life" - Science Classics - Witness a fantastic voyage through floods, fire, and storms. A valiant struggle against impossible odds. All performed by a perfectly ordinary, yet truly remarkable creation: the simple seed. 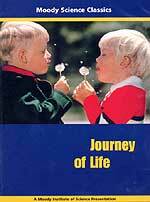 But Journey of Life is more than a fascinating look at God’s design for growing plants. It’s also a wonderful picture of the most important voyage of all, the journey of the living seed of God’s Word, taking root in human hearts. This highly acclaimed video urges us to examine our lives. And to look beyond present struggles to the promise of eternal life. 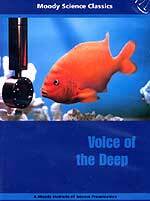 * "Voice of the Deep" -- Science Classics -- Have you ever heard a fish that croaks? How about porpoise that moo? The “silent deep” is not so silent after all. Take a trip beneath the sea to discover many strange facts about a little-known world. In Voice of the Deep, we see that a person needs not only new ears but a new life to fathom the mysteries of the spiritual realm. * "God of Creation - Science Classics -- Only available in DVD -- Only $12.99 -- A creeping caterpillar takes wing as a graceful butterfly. Flowers open their blooms before your eyes. A twinkling point of light reveals a solar system millions of light-years away. It’s all the work of the God of Creation. This all-time Moody favorite explores the power and beauty of the universe we live in. You’ll see the food “factories” that plants use. And you’ll peer through a telescope into the vast reaches of space, while you ponder the God who put the galaxies in place. The same God who gave His Life for us on the cross. I. An NBC News affiliate weatherman from Idaho confirms long-term Cutting Edge teaching on two very important issues: 1) That scalar weaponry is real; 2) That weather is being globally controlled by scalar weaponry!
" am a meteorologist at an affiliate in the Northwest who now uses scalar weapons signatures within the clouds to better my forecasting record. After closely watching high-resolution visible satellite imagery there is no question in my mind that these storms weren’t (sic) altered and guided to their final destinations. No doubt what so ever. I have come to a further conclusion; that the entire Earth’s weather had been digitized. There is not a flood, thunderstorm, cyclone, or drought that isn’t allowed to happen. Control over global weather is complete. 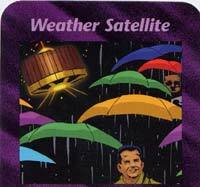 This way it is much easier to control portions, hurricanes/storms, within this system." Did you catch this weatherman's statement? "Control over global weather is complete. This way it is much easier to control portions, hurricanes/storms, within this system." Before I decided to report this news story, I asked a retired FBI investigator to check this Scott Stevens out to ensure that he was really who he claimed to be. The results were positive, i.e., Scott Stevens is a real weatherman, working for an NBC affiliate in Idaho. You can check yourself by clicking to the NBC Newschannel 6 website, where you will see Scott's picture as the "Weather Anchor". This picture matches the picture shown in the Urban Survival article. Further, if you click on Scott Stevens' name, you will see his biography. Notice that the awards Scott has won over the past few years have been awarded on the basis that his weather forecasting was the best -- exactly the point Scott made in the first sentence of this article, as we quoted above. I emailed Scott to ask him if he really wrote this article in Urban Survival, and he emailed back to say, "Yes", he had written that article. In this email, he stated that the scalar energy field is used to control global weather 24/7. He further stated that this control 100% of the time is necessary or "they" would lose control. I have an email into Scott clarifying who the "they" is, but since Lt. Col. Beardon has stated that Russia uses Scalar Weaponry while the United States uses HAARP, we would assume that the "they" using scalar weaponry to control the weather are the Russians. "... the entire Earth’s weather had been digitized. There is not a flood, thunderstorm, cyclone, or drought that isn’t allowed to happen. Control over global weather is complete. This way it is much easier to control portions, hurricanes/storms, within this system." Now, we know the truth, because an NBC weatherman has possessed the courage to tell us. 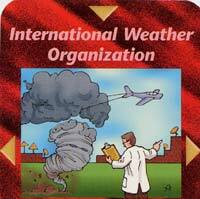 Scalar Weaponry signals are controlling weather globally, with the capability of steering the storms exactly where global authorities (Illuminati) wants them to be steered! SPECIAL ELECTION NOTE: We have posted our stance on this election in a new article entitled, "Cutting Edge Position On This 2004 Election". This is a free article and we ask you to please read it. But, we wish to add this additional thought: Bush, Cheney, Clinton, Gore, and Kerry are all dedicated to the same global plan to reorganize the world gradually into a global government, economy, and religion, and then stage their New Age Masonic Christ - a global plan which fully fulfills Bible prophecy. Therefore, if Gore had been elevated to the White House in the 2000 elections, the attacks on 9/11 would have occurred on schedule, and Gore would have committed America to the same overseas actions as did Bush. Gore would have demanded Patriot Acts I and II. Gore would probably have used the same lying rhetoric as Bush used to justify the invasion. Further, if Kerry had gone to the White House in 2000, he would have done the exact same things as Bush has done. Why? Because these men are following a scripted plan created for them many decades ago. Former Satanist, Bill Schnoebelen told me several times over the phone that the Bilderberger meeting of 1952 decided that America would lead an invasion of Iraq, planned to be the origin of Muslim hatred against the West so that, when the spark is ignited that will so enrage the Muslims that they will go to war, their hatred will have been made stronger and deeper because of our invasion. 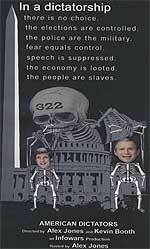 When we criticize Bush, it is because he is the President and he is the one terribly deceiving millions of genuine Christians; but, our criticism does not let John Kerry off the hook, because he is identical to Bush, as evidenced his membership in the same Skull & Bones satanic secret society. With this understanding, let us now review pertinent news relating to Iraq and this election. II. Just one week ago, President Bush's own weapons inspector issued his final report on WMD in Iraq and his conclusion was that Iraq never did have WMD! Then, just one day before the second Presidential debate, Bush and Cheney admitted that no WMD ever existed in Iraq! "Over recent months George Bush has brushed away questions about Iraq's weapons of mass destruction with the words: 'Wait till Charlie gets done'. Now Charles Duelfer, head of the Iraq Survey Group, has produced his report - and the verdict could not be starker. Its thousand and more pages, painstakingly researched by 1,200 staff, obliterate an entire arsenal of familiar phrases about gathering threats, clear and present dangers, and Condoleezza Rice's catchy but preposterous line about a smoking gun becoming a mushroom cloud. Saddam Hussein, the report concludes, did not have any chemical or biological weapons in 2003. Almost certainly he disposed of any stockpiles 12 years previously, when UN sanctions were imposed after the Gulf war." "Tony Blair argued for months that, even if Iraq had no stockpiles of illicit weapons, there were programmes to develop them. Now there are no programmes either. The main justification for war, both in Washington and London, has been shown to be baseless - and by a body working directly for the US government. Critics of Messrs Bush and Blair have been vindicated." The key point of these two articles was that Bush and Rumsfeld had created a phony intelligence service in mid-2002, when the CIA refused to sign off on bogus "intelligence" reports which were designed to so scare the American people that they would support an Iraqi invasion. This bogus intelligence agency was named the "Office of Special Plans - OSP". This office was the originator of such patently false reports that Saddam had WMD that he could launch within 45 minutes, and that Saddam had placed his WMD on a fleet of "terror ships" which were circling in international waters. All along, we stated that Bush's rationale for going to war was a lie. Listen now to a recent report which compared Bush's original rationale for war with the reality our inspectors discovered once we had conquered the whole country. -- "It possesses and produces chemical and biological weapons. It is seeking nuclear weapons." ----"We've also discovered through intelligence that Iraq has a growing fleet of manned and unmanned aerial vehicles that could be used to disperse chemical or biological weapons across broad areas." -- "Iraq possesses ballistic missiles with a likely range of hundreds of miles far enough to strike Saudi Arabia, Israel, Turkey and other nations in a region where more than 135,000 American civilians and service members live and work. " ----A single artillery shell filled with two chemicals that, when mixed while the shell was in flight, would have created sarin. US forces learned of it only when insurgents, apparently believing it was filled with conventional explosives, tried to detonate it as a roadside bomb in May in Baghdad. Two US soldiers suffered from symptoms of low-level exposure to the nerve agent. The shell was from Saddam's pre-1991 stockpile. ----Another old artillery shell, also rigged as a bomb and found in May, showed signs it once contained mustard agent. ----Two small rocket warheads, turned over to Polish troops by an informer, that showed signs they once were filled with sarin. ----Centrifuge parts buried in a former nuclear scientist's garden in Baghdad. These were part of Saddam's pre-1991 nuclear programme, which was dismantled after the 1991 Gulf War. The scientist also had centrifuge design documents. ----A vial of live botulinum toxin, which can be used as a biological weapon, in another scientist's refrigerator. The scientist said it had been there since 1993. ----Evidence of advanced design work on a liquid-propellant missile with ranges of up to 1,000 kilometres. Since the 1991 Gulf War, Iraq had been prohibited from having missiles with ranges longer than 150 kilometres." As you can see, our forces found no physical evidence to ever back up Bush's assertions that we had to go to war NOW to prevent that bad guy, Saddam, from launching his WMD against us or our Middle Eastern allies. But, why should anyone be surprised? In the six months before the Iraq invasion, Cutting Edge Daily News Updates were daily chronicling news stories which were telling the world that Bush's claims could not be verified, either by U.N. Weapons Inspectors or by any private source. People who were carefully and thoroughly reading our news stories knew that the claims spewing forth from Bush, Blair, and Rumsfeld could not be independently verified and were probably false. Now, just before the election, at the worst possible moment for the re-election of President Bush, concrete verification comes out from Bush's own inspectors that all the rhetoric was patently false. Yesterday, the news got so bleak that both President Bush and Vice President Cheney were forced to admit that Iraq had no WMD. "WASHINGTON (AP) - President Bush and his vice president conceded Thursday in the clearest terms yet that Saddam Hussein had no weapons of mass destruction ... Cheney dismissed the significance of Duelfer's central findings, telling supporters in Miami, "The headlines all say 'no weapons of mass destruction stockpiled in Baghdad.' We already knew that." We did already know that Saddam had no stockpiled WMD, Mr. Vice President? When did we know that? Not from your rhetoric, that is for sure. Your rhetoric clearly and consistently -- from 2002 to last week -- trumpeted that we had clear evidence that Saddam had lethal, operation WMD which could be launched in 45 minutes! Now, Cheney and Bush are trying to switch their rationale for war once again, this time to the Oil-For-Food scandal now breaking upon the world scene! "We do not need to recount yet again the history of the war in Iraq. It will go down as one of the most ill-conceived military undertakings in our history. The recently disclosed July report of the National Intelligence Council to President Bush tells us we are in grave trouble ... President George W. Bush often asks, rhetorically, 'Isn't the world better off with Saddam Hussein out of power?' The answer is no, no, no. Saddam, a brutal dictator, is in jail. That's good. But we have paid a bloody, awful price; a price we will be paying for years to come. The Iraq we created now is an international menace, a citadel for terrorism far more dangerous than the declining Saddam regime we deposed. Sometimes, the cure really is worse than the disease." Graphic reality on the ground for our servicemen is much graver than most Americans realize, backing up the condemnation from Senator Eagleton. John Kerry was quick to attack the President on his latest switch in rhetorical justification. Going back to our My Way News article, above. "Ridiculing the Bush administration's evolving rationale for war, Democratic presidential candidate John Kerry shot back: 'You don't make up or find reasons to go to war after the fact'." When the debates continue tonight, it will be interesting to see if Kerry forces Bush to face his own record of "shifting sand" rationale for going to war. III. Insurgents continue to fire rockets and mortars and sneak bombs into the most sensitive areas in Baghdad. "BAGHDAD -- Militants fired rockets at a hotel housing foreigners in the heart of Baghdad last night, causing minor damage, while US officials said two American soldiers were killed by roadside bombs outside the capital ... Three Katyusha rockets slammed into the Sheraton hotel, the Interior Ministry said, triggering thunderous explosions, shattering windows and setting off small fires. Dazed guests, including Western journalists, contractors, and a bride and groom on their wedding night stumbled to safety through the smoke and debris ... The hotel is across the Tigris River from the US Embassy compound in the heavily guarded Green Zone." Insurgents have regularly been targeting the "Green Zone", which is the Headquarters for the Coalition Forces. The situation is getting so serious that insurgents are regularly bombarding the area around and within the heavily-guarded Coalition Headquarters. This area is one in which our greatly superior forces should be able to protect. The fact that they cannot prevent almost daily attacks on the Green Zone should alert everyone that the security situation is grave and getting worse. This next story illustrates this reality all too plainly. "BAGHDAD, Iraq — Residents of the fortress-like American headquarters in Baghdad known as the Green Zone were on high alert Thursday after the discovery of a bomb there indicated that insurgents had infiltrated the village-sized, supposedly impenetrable compound. In another brazen attack on Western targets, insurgents fired at least two rockets Thursday night at the heavily guarded compound that houses the Palestine and Sheraton hotels, home to many foreign journalists. No one was reported injured in the attack, which pierced the lower levels of the Sheraton and scattered debris throughout the atrium. The Green Zone bomb, thought to be the first insurgents had planted in the secured area, was discovered in a burlap bag at the Green Zone Cafe minutes before a U.S. Embassy official was to enter for lunch Wednesday.."
If that bomb had exploded as planned, killing an American Embassy official, the insurgents would have received a great shot in the arm, while the Bush Administration would have been embarrassed once again. When insurgents can continuously -- almost daily -- mount these kinds of attacks against key American targets, you must realize that the security situation is deteriorating, not improving. Even though our forces are publicly claiming success in "neutralizing" Najaf, seizing operational control over the insurgents, the overall situation continues to slid downward. Even the United Nations is taking notice. "UNITED NATIONS - Two organisations representing more than 60,000 United Nations staff members urged Secretary-General Kofi Annan yesterday to pull all UN staff out of Iraq because of the 'unprecedented' risk to their safety and security. In a joint letter to Mr Annan, the staff organisations cited a dramatic escalation in attacks in Iraq and said 'the UN has become a direct target, one that is particularly prone to attacks by ruthless extremist terrorist factions'." At this point, it seems time to ask where these insurgents are getting this seemingly endless supply of mortar rounds, rockets, machine gun ammunition, bombs, and vehicles with which to attack American forces? This next article tells you that the insurgents are well supplied with resources. "BAGHDAD - They're every Iraqi's favourite car, but perhaps not for much longer. Police in Iraq have started hauling over drivers of BMWs -- particularly those with black, blue and dark gray models -- following intelligence reports that insurgents are using them to carry out drive-by shootings, kidnappings and other attacks." Now, BMW cars are very expensive. If the "insurgents" have ready access to these types of cars, plus endless supplies of the munitions we have mentioned, above, then where are they getting these resources? After all, American officials have continuously painted the insurgency as being comprised of only a few thousand Saddam sympathizers, plus criminals and street thugs. Yet, this group seemingly is drawing upon an deep supply of the types of weaponry which only a State army can possess. Is it time to think that the earlier reports of arms stashed in deep underground bunkers might have been correct? The Iraqi Army did not use even a small fraction of the munitions and weapons it possessed before the invasion . If this is true, will we be soon seeing weapons which can kill Abrams Tanks and Stryker vehicles? IV. Popular Opinion Polls heading into tonight's debate indicate that Kerry has taken the slimmest of leads. "WASHINGTON — Sen. John Kerry holds a slim lead over President Bush, according to an Associated Press poll showing the Democrat gaining ground while Bush lost support on personal qualities, the war in Iraq and national security ... The race was tied 47-47 percent among all voters. Significantly, fewer voters than a month ago believe Bush is the best man to protect the country and fight the war. The AP-Ipsos Public Affairs poll, completed on the eve of the second presidential debate, charted a reversal from a month ago, when the incumbent had the momentum and a minuscule lead. Since then, bloodshed increased in Iraq, Kerry sharpened his attacks, and Bush stumbled in the initial debate." Back in February, Cutting Edge was shocked when retired Marine General Zinni suddenly reversed direction and began attacking Bush for his Iraq invasion in the harshest possible terms. This verbal attack was followed by several other insiders attacking Bush as well. Then, in May, the Council on Foreign Relations magazine ran an article saying that the only reason America has not successfully disarmed North Korea was because of the inept manner in which the Bush Administration had handled the entire affair. Whenever you see one Illuminist insider attacking another, you are looking at the outworking of a specific plan, for none of these men are "loose cannons", doing or saying something they are not supposed to do or say. Therefore, it seemed to us that, perhaps, the plan for this election year was to slowly, steadily discredit President Bush. IF -- and that is a big IF -- the plan is for Bush to only serve one term as did his Dad, the American voter would have been properly preconditioned to accept it. Therefore, we find it interesting that so many negative events are occurring just days before the election, some of which we have already noted, above. Remember, we are not predicting a Bush defeat, but he has certainly been deliberately discredited just before the election. V. Israel suffered a major terrorist attack on two resort hotels filled with Jewish vacationers. The irony is that these hotels are located outside Israel, in the Sinai! "At least 26 people, including many Israelis, were killed and 124 were wounded Thursday night in three attacks on two Red Sea holiday resorts packed with Israeli tourists, the Israel Defense Forces Home Front Command said Friday. Egyptian officials previously said that up to 35 people had been killed in the attacks on the Sinai Peninsula, when terrorists targeted the Hilton Hotel in Taba, close to the Egypt-Israel border, and the resort town of Ras Satan, some 50 kilometers south of the frontier crossing." This attack demonstrates sophistication when two resort hotels 50 kilometers apart are attacked nearly simultaneously. Terrorist attacks within Israel have been steadily declining during the past year, as more and more of the land is divided by the Security Wall. Nevertheless, the depth of the hatred in the hearts of Palestinians toward the Jews is evident from these attacks. Significantly, just before the current holiday period began, the security service, Shin Bet, announced that they had thwarted a terrorist attack against Israeli citizens in the Sinai during the Rosh Hashanna holiday period. "Shin Bet chief Avi Dichter told government ministers on Sunday that the Shin Bet had specific warning of a planned terrorist attack against Israeli tourists in the Sinai over the Rosh Hashanah holiday. During the weekly cabinet meeting, Dichter said that the attack was never executed, in all likelihood as a result of an Israel Defense Forces operation in Gaza last week, in which at least 13 Palestinians were killed." In early September, Jewish terrorists were warned of the terrorist threat in popular Sinai hotels. "Israelis appeared to be undeterred by the warning issued by the prime minister's counter-terrorism adviser calling on citizens to refrain from visiting Sinai and telling those there to leave. "Specific, concrete information of plans by terrorists to launch attacks in the near future against Israelis vacationing in Sinai have been received," a security official told The Jerusalem Post. The warning does not relate to a specific time frame, the official said, but to information that terrorists will attempt to attack Israelis in the near future ... 'Most Israelis I spoke to said they were unconcerned by the warnings and refuse to allow terror to dictate their lives', he said. 'Some said that if they remained at home they could just as easily be blown up on a bus or be attacked in the Azrieli Towers," he said. With the High Holy Days coming up, Chai said officials estimated that up to 70,000 Israelis will cross into Sinai next week." Undoubtedly, many Israelis who ignored the official warning on this basis were moaning over their shortsightedness as they surveyed the carnage. The destruction was devastating. 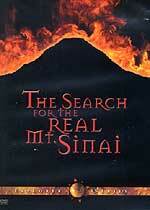 "Sagit Levy went to Sinai's beaches to find a paradise of peace, away from the daily fears of violence-wracked Israel. She staggered home to the Jewish state on Friday slashed by shrapnel and with her eardrums perforated ... Rescue workers on Friday discounted the chances of finding additional survivors in the wreckage of the Hilton Hotel in Taba, Sinai, the morning after blasts shattered the building, causing one of its wings to collapse ... "The gates of Hell suddenly opened," an Israeli doctor, a guest at the shattered Taba Hilton, told Channel 1 television Thursday, shortly after a blast ripped through the hotel, killing at least 25 people and wounding more than 100 others." Since 1982, Israeli citizens have been dying at the hands of Palestinian terrorists. Yet, their government does nothing militarily significant to defeat this terror. During the decades of the '80-90's, the mantra emanating from the office of the Prime Minister was that the "would not let this attack derail the peace process". It did not matter whether the Prime Minister at the time was from "Liberal" Labor or from "Conservative" Likud, the mantra was the same. The response from the IDF was also painfully familiar, as they would attack meaningless empty buildings, usually after giving the people inside more than an hours warning. Now, after 22 years of Palestinian terrorist attacks and ineffective Israeli government reprisals, where is the "peace" which was promised? Where is the "peace" that was so important that the Israeli government refused to take any action to "threaten that peace"? On the contrary, "Conservative" Prime Minister Sharon is ordering a complete, forced evacuation of all Jewish citizens from the Gaza Strip and portions of the West Bank, thereby rewarding the Palestinians for their 22 years of terror. VI. As religiously observant Jews contemplate Sharon's planned withdrawal with horror, some of them are praying for deliverance in a most interesting manner. "Rabbis throughout Israel have become so outraged with Sharon and his disengagement plans for Jewish removal from Gaza that some even openly are praying for his death; Rabbi Yosef Dyan. As Rabbi Dyan and Professor Hellel Weiss who is a well known Temple Mount activist gathered with a large crowd of Jews at the Pool of Shiloah or better known as the Shiloah Springs in the village of Silwan (City of David). They preformed a ceremony known as the (Nisuah Hamayim), from the first and second Temple Period when they drew water from this spring and carried it to the Temple Mount to purify the Temple objects as well as the High Priest. "But this ceremony took a slightly different course in meaning, they are saying that this ceremony will begin the removal of Ariel Sharon and replace him with a King. But what I found even more interesting in regards to end times prophecy is they also said, that in order to change this government we then need to draw from the pools of salvation, reminding me of the time when Yeshua stood on the day of Sukkot stating that if you want the waters of salvation come to me. So it has occurred to me that the Rabbis are now praying for the King ..."
Isn't that amazing? Faced with the greatest possible internal stress, brought about by the unexpected turnaround of the "Conservative" former war general Sharon, religiously observant Jews are suddenly praying for a Messiah King! The Bible foretells, of course, that just such a messiah will present himself to the Jews, but he was be Anti-Christ, not the real Christ. Therefore, is God working through these terrible events within Israel to put a yearning into the hearts of many Jews fro their Messiah to come deliver them? That seems highly likely, thus furthering our suspicion that the world is hurtling so very close to the moment when Antichrist will step on to the world scene, marching through the death and destruction of the "Final Birth Pangs" war called World War III. Of course, the new Jewish "Messiah" will need to rebuild the Solomon type Temple (Read NEWS1643), but how on earth is he going to clear the Temple Mount of the current Islamic Dome of the Rock Temple? Even though Arafat hinted that he and his men might destroy the Dome of the Rock (NEWS1404), presumably to unite all the world's Muslims against the Jews, worry is currently building that the Dome of the Rock might collapse next month when hundreds of thousands of Muslim worshippers will crowd inside form Ramadan. "An Israeli report, based on Egyptian findings, states that there is an immediate risk that the Temple Mount could collapse when many thousands of Moslems arrive for Ramadan prayers in three weeks. report by the Israel Antiquities Authority, based on the findings of an Egyptian engineering team, states that there is an immediate risk that the Solomon's Stables area of the Temple Mount could collapse when many tens of thousands of Moslem worshipers arrive for Ramadan prayers in three weeks' time. The Authority's report says that the danger is "almost certain." "A collapse of the pillars could bury many thousands of worshipers, and the Moslem world would likely blame Israel." Exactly! For the first time since Israel became a nation again in 1948, all Muslim nations in the world would be forced by raging anger within their populations to declare war against Israel, thus setting in motion the terrible prophecies of Zechariah 12. An email from a professional contact within Israel confirms that many, many Jews are extremely worried that this may be the year when the Dome of the Rock does collapse. Does this mean that the Illuminati plans to destroy the Dome of the Rock with an earthquake? If the Muslim Temple were to be destroyed by an earthquake, Muslims would be harder pressed to blame its destruction upon Israel. Of course, you and I know that, through HAARP and Scalar wave technology, both the Russians and the United States can cause an earthquake any place on earth at any time desired, of any severity (Weather Control Section of Articles). Stay tuned, and alert, for things might get very interesting. VII. Using the recommendations of the whitewash 9/11 Commission as a cover, Congress may about to ready to rush a bill through which would threaten our Life, Liberty and the Pursuit of Happiness in ways we have become all too accustomed to seeing since the passage of Patriot Act I. "Oct 6 - Civil liberties and immigrant rights advocates say House Republicans are using legislation based on the 9/11 Commission’s recommendations as cover to implement a series of troubling, un-related reforms condoning torture, limiting immigration and increasing surveillance of both non-citizens and citizens. The House will vote on the 9/11 Recommendations Implementation Act this week. Opponents say the Republican leadership rushed the legislation to the floor without much time for debate or public input, just as Congress prepares to recess for a pre-election break." Even as the world continues to stagger through the immense weight of American atrocities against Muslim prisoners in Afghanistan, Iraq, and at Guantanamo Bay Prison in Cuba, we are now discovering that Congress may be about to authorize torture in this country? While the above statement tells us that this bill will limit immigration and increase surveillance of "non-citizens and citizens", it does not clearly define whether torture will be authorized for citizens. However, since the word, "torture" appears in the same sentence, it seems likely that American citizens will be subject to such harsh treatment. Even though this bill is being ramrodded through Congress by the Republican leadership without debate and little fanfare, where is the Democrat outrage? Since Kerry is locked in a tight race with Bush for the Presidency, this issue would be perfect for him to lambaste the President and announce that he and the Democrats are not going to stand for this nonsense. Sadly, though, you will most surely not see this issue raised during tonight's debate, or ever during the campaign. The reality is that the Democrats are as much a part of this whole plan as are the Republicans. The sooner everyone realizes this fact, the better we all will be. VIII. Cutting Edge has always maintained that worshippers of the occult have been told for over a decade now that the "Rapture of the Christian Church" is a reality and will occur shortly after Antichrist arises. Our researcher and author, Mac Dominick pulled up to a string of cars behind a red light and was shocked to see a most shocking pagan bumper sticker. On the extreme left side the bumper sticker had a pentagram as did the extreme right hand side. In between the two pentagrams, this message appeared. Note also that these occult worshippers are also told when this Rapture of the Church will occur: "soon after The Christ arose". Since the 7-year Tribulation Period does not begin when Antichrist makes his appearance on earth -- as too many Christians believe -- but begins when he confirms the covenant with Israel's leaders (Daniel 9:27), we believe there will likely be a period of 3-9 months in which this false Messiah stages false fulfillment's of Bible prophecy so the people will believe he is their long-awaited Jewish Messiah. Thus, a pre-Tribulational Rapture position means that the genuine Church will be taken sometime before Antichrist's pen touches the paper to sign the covenant. Since the timing of the Rapture as revealed by occult leaders is "soon after the Christ" appears, that is consistent with the pre-Tribulational Rapture position. Isn't it interesting that, even as Christians vigorously debate amongst themselves as to whether the Rapture will occur pre-, mid- or post-Tribulation, the occult world seems united in its belief that the Rapture will occur pre-Tribulationally?